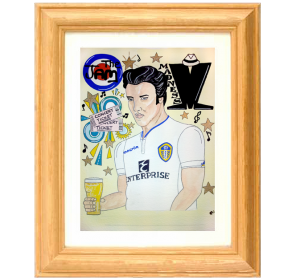 I create commissioned paintings for all occasions. 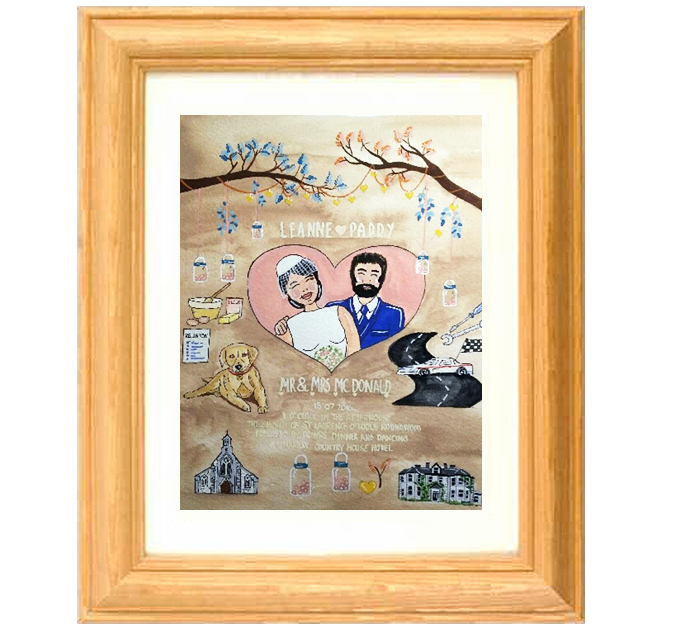 Birthdays, Weddings, Anniversaries or retirement gifts. 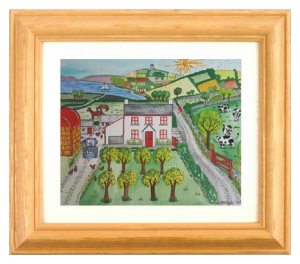 The artwork can be a painting or illustration of a special place; be it a landscape, farm, town or a particular building that is important to the recipient. 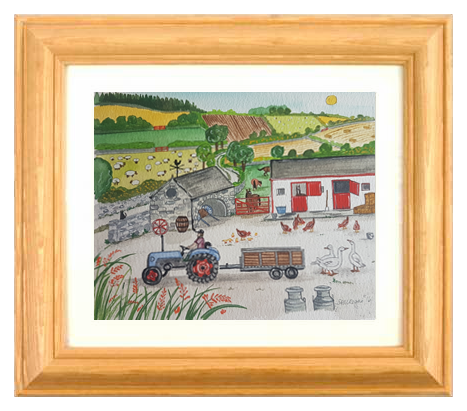 Farm illustration paintings are €60 framed, and €50 unframed. 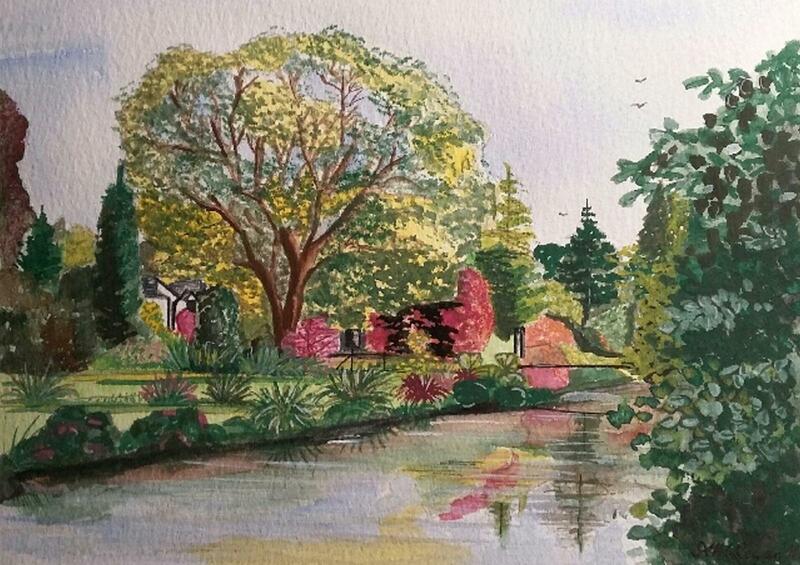 If there is a special place that you would like painted, please get in touch and I would love to paint it for you. 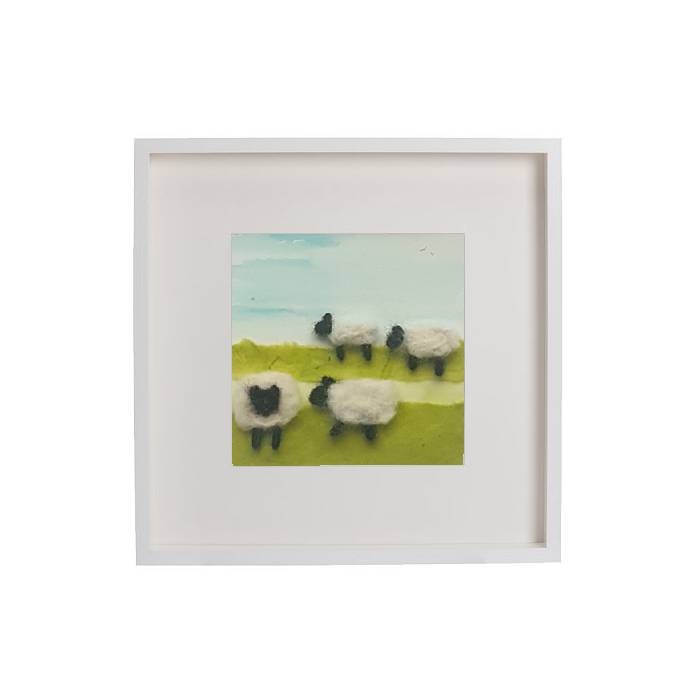 These paintings vary in cost depending on the size and frame that you would like. 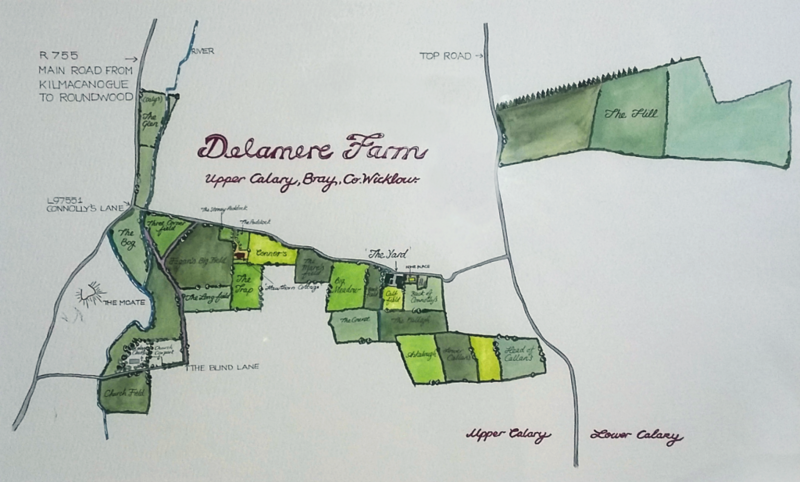 You give me the farm map you would like illustrated, with field names, and I will do a watercolour painting of it and put in any other details required. 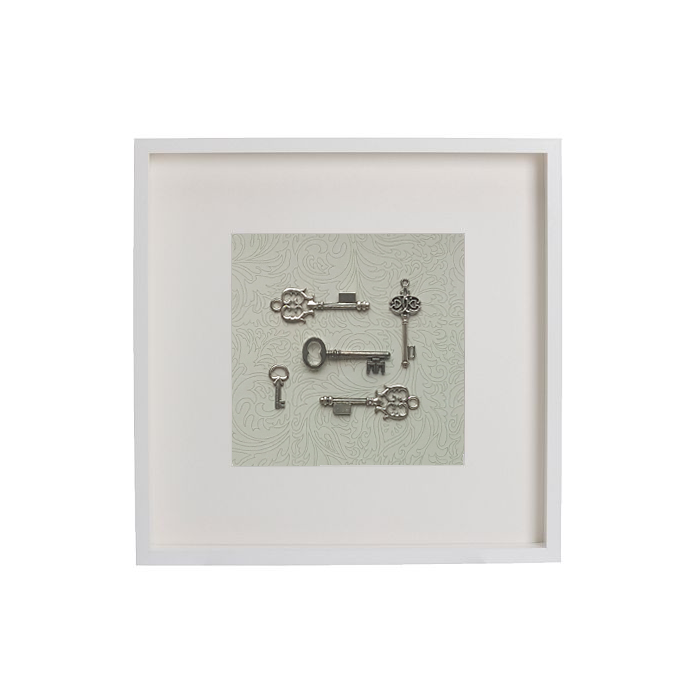 Framed this will cost between €200 – 300 euros depending on the size of the piece. 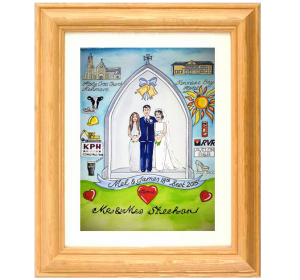 I can create personalised paintings for occasions like birthdays or weddings for example. 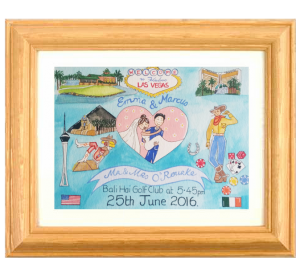 These incorporate many details that are special to the couple or person that the painting is gifted to. 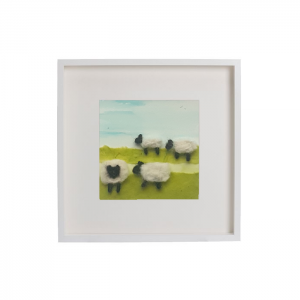 These are framed in a natural pine frame size 10″x2″x12″ and cost €90 euros each. 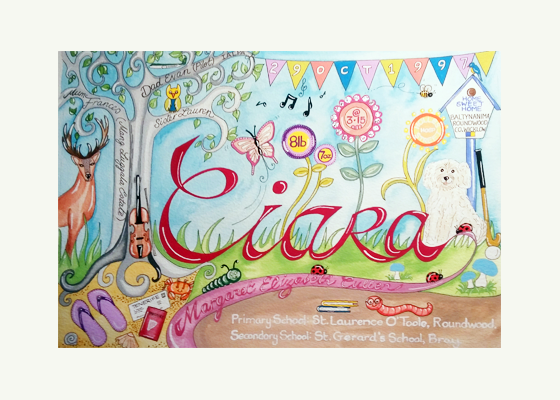 I also create personalised name paintings for birthdays and other notable events. 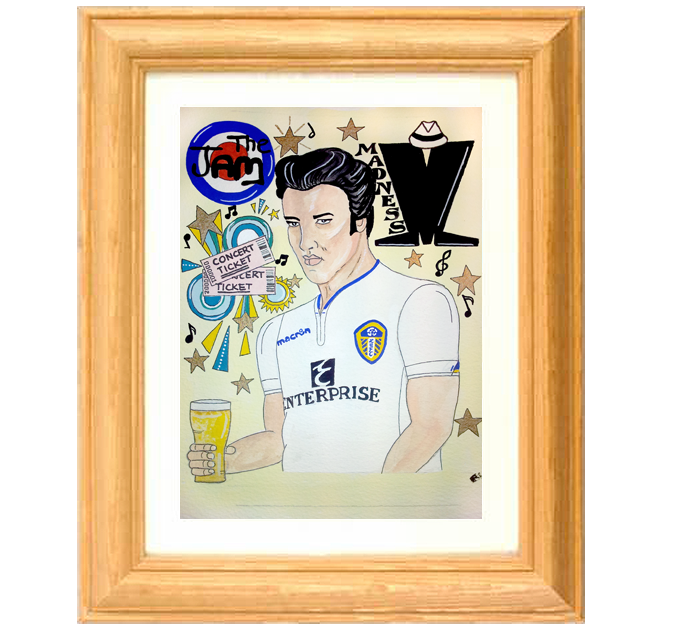 This painting was created for an 18th birthday. Depending on size this will be between €90-120 euros framed in a cream frame. 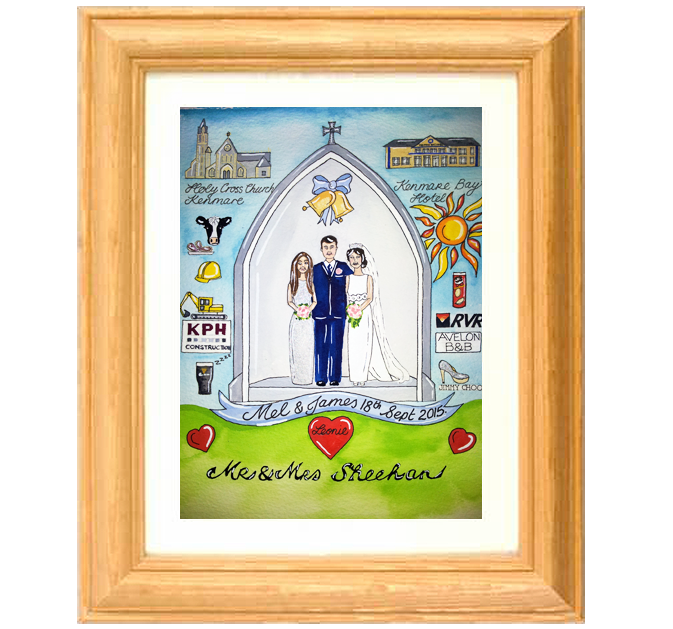 The size and medium of the of each personalised custom painting is different. 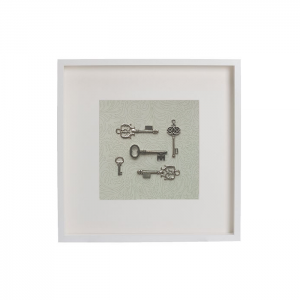 These are a unique and special gift. 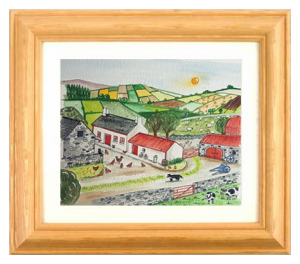 Commissioned landscape paintings vary in price based on the size and framing. 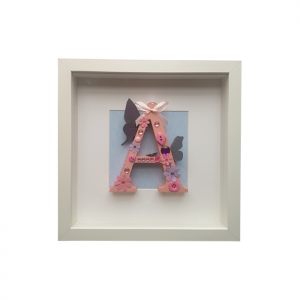 Please get in touch to discuss what you would like. 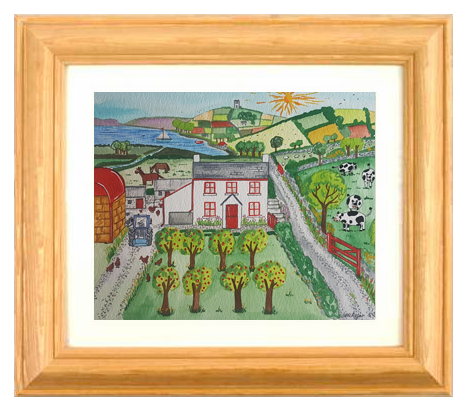 Farm map paintings will cost between €200 – 300 euros depending on the size of the piece. Please get in touch to discuss what you would like. 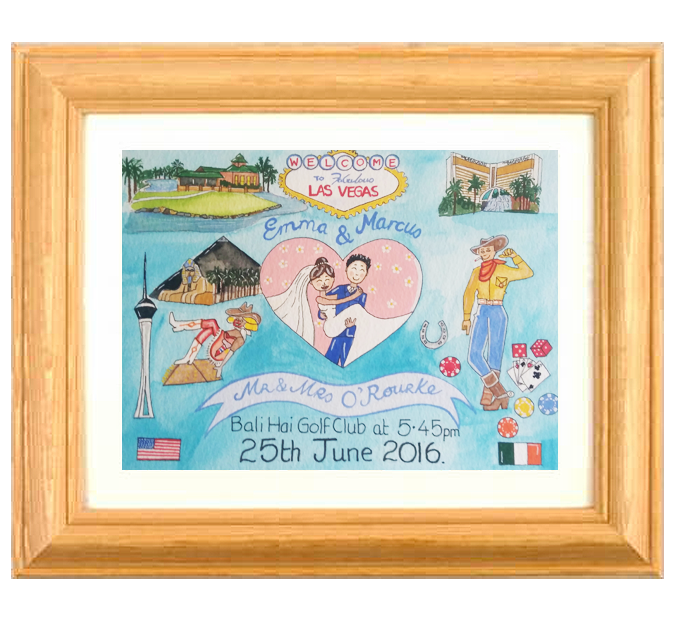 Personalised paintings for special occasions are €90 framed, and €80 unframed. 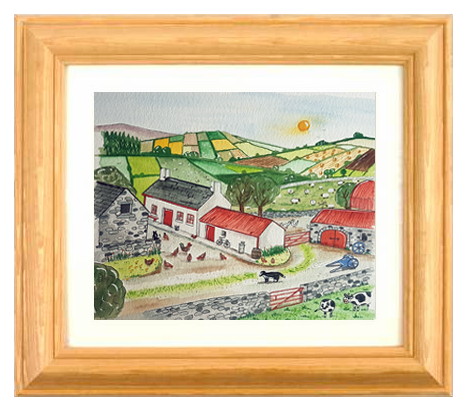 Personalised birthday name paintings are €90–€120 framed. Please get in touch to discuss what you would like. 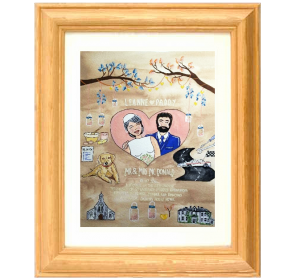 Family “portrait” paintings – the vary depending on what you would like in the painting. 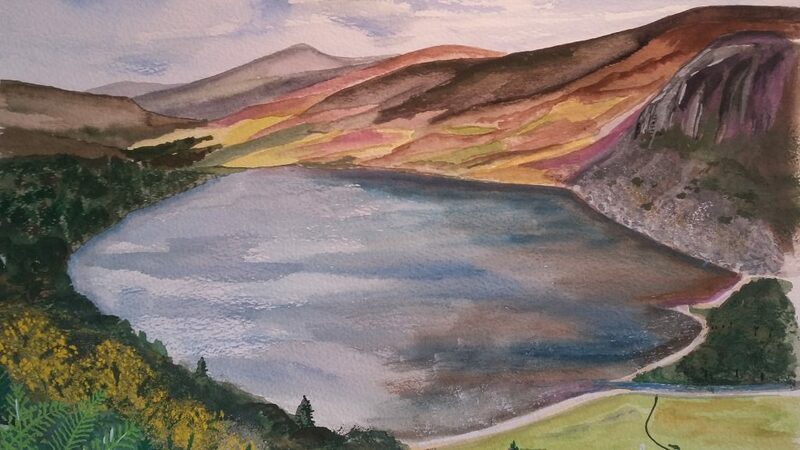 Please get in touch to discuss what you would like. 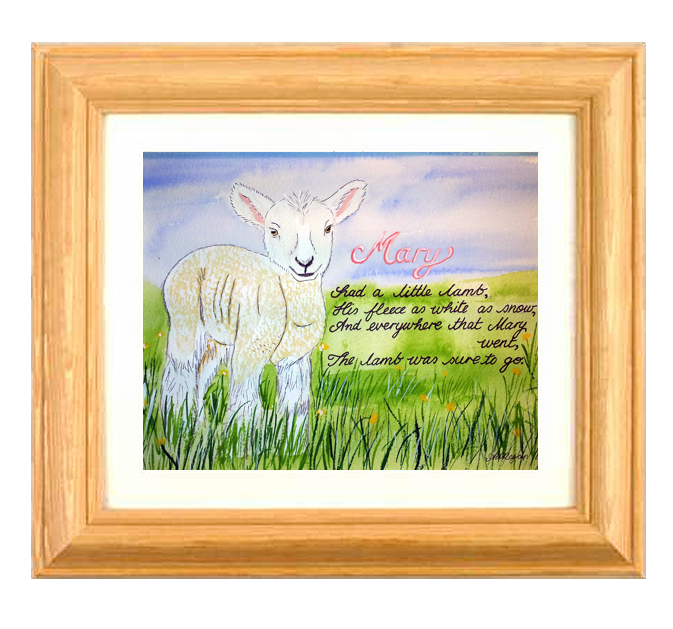 I also create personalised paintings for families. These can take many different forms. 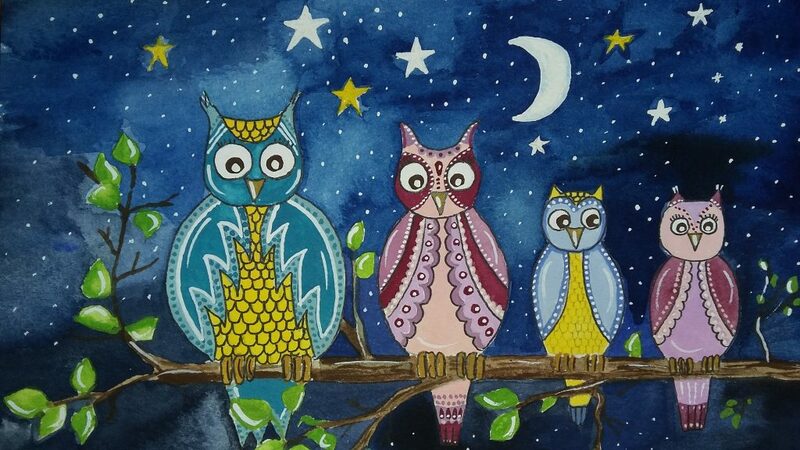 I can paint scenes with animals representing each member of the family, such as the owl painting below. Or, each member can be represented by a key, a felted sheep, or I can create a custom initial framed for any family or friend. 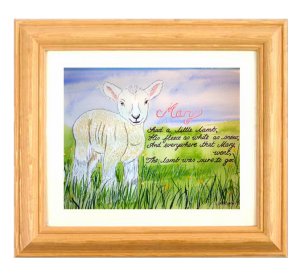 These can also be gifted for other special occasions, for example the key painting is a lovely gift for a 21st birthday or a new home.